From identifying a Bob James song in an elevator, performing an air guitar riff to a Led Zeppelin song, singing along with the latest Auto Zone TV commercial, to dropping the latest Underground House cut, Karl Almaria is all about enjoying music. Karl loves a wide range of music, but living in Chicago almost all of his life has given him the opportunity to witness the evolution of House Music over the years from its local early stages to the worldwide sound it is now. 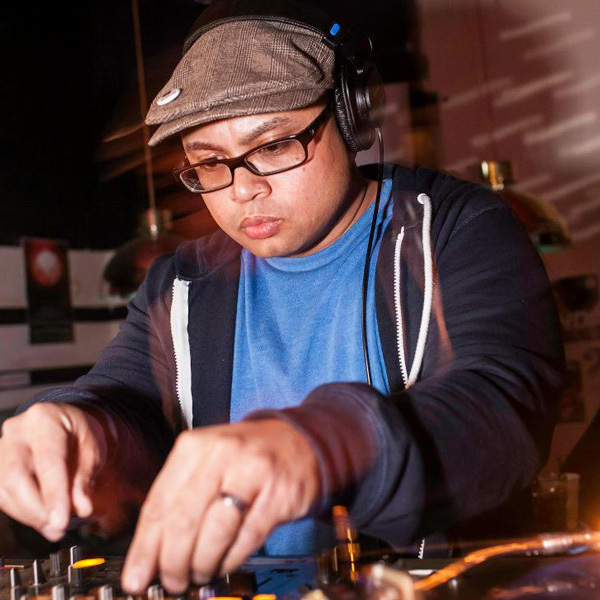 Today, Karl Almaria can be found not only enjoying House Music, but living it as well. Whether it’s spinning alone, at a bar for 15 people, or at an event for 1500 people, Karl is simply a DJ at heart that enjoys it all. “Yeah, there’s nothing like creating a vibe and connecting with a receptive crowd…but there’s also something special about connecting with the music alone.” Early on, Karl was content listening to mix tapes, collecting records, and spinning at home. However, it wasn’t long before others took notice. With plenty of encouragement from friends, he began playing out on a regular basis. 15+ years DJ experience, a creative mixing style, and on-point track selection have now taken him to DJ gigs in 17 states in the USA and have earned him an ever-growing booking schedule – including several residencies in his hometown of Chicago and beyond. Karl may be still under the radar for some, but he has amassed a decent-sized worldwide base of appreciative fans. Currently on the web, Karl hosts “Bunchlox Radio” every Tuesday [10pm-12am Central Time on www.chicagohousefm.com]. In addition, Karl hosts “Sunday Brunchlox” every 4th Sunday [12pm-6pm Central Time on www.myhouseyourhouse.net]. This monthly broadcast features live in-house sets from some of the world’s best Underground House DJs. Past guests have included DJ Sneak, DJ Heather, Iz & Diz, Miles Maeda, Gene Farris, Jason Hodges, Chuck Daniels, D-t3ch, John Mateo (Mateo & Matos), Lance DeSardi, Lars Behrenroth, Tommy Largo, Corduroy Mavericks, Doc Link, Uriah West, and many more. Although he insists he is not a promoter, Karl has had a decent amount of success promoting events as well. Currently, he co-hosts the popular Spork party at Chicago’s legendary Smartbar (with T Mixwell). Past highlights include co-hosting the well-known monthly Grizzled/Sizzled parties at Chicago’s Lava Lounge (with The Sound Republic) and various work with the Epiphic collective (hundreds of regular and one-off events). Along with DJing and running Bunchlox, Karl has also been focusing on music production. His original tracks & remixes have found their way into many DJ’s sets (including Diz, DJ Heather, Mark Farina, Slater Hogan & John Larner, and Raoul Belmans) and have become the subject of track IDs in many House Music circles. Karl has released tracks on Juiced Music, Hudd Traxx, Panama Red, Guess Who?, Footwear, Photo Records, Round House, and Red Brunette. Karl Almaria I started buying House records in high school. 1st DJ gig was during college at a party playing a variety of styles. Karl Almaria The Hot Mix 5 and other DJs on Chicago’s WBMX/WGCI/WNUR in the 80s made me fall in love with the music. I probably would have continued to spend most of my time on the other side of the turntables if not for my brother Mark Almaria. His dedication to the craft greatly inspired me and changed my outlook on DJing. Karl Almaria – @Smartbar (Chicago), Next Door (Honolulu), My house – the venue for my @MHYHradio show #SundayBrunchlox ft. fav live guest DJs…& also my at-home studio, spinning alone (a crowd isn’t always needed to enjoy the music). Karl Almaria I would love to jump the pond and play some gigs in Europe…have never been! Karl Almaria At least 2x the normal recommended amt of hats/tshirts/pairs of kicks, backup DJ music, appetite for local cuisine. Apart Tell us about your radio show! How long you’ve been doing it + when/where we can listen? Karl Almaria Tuesdays: #BunchloxRadio on @ChicagoHouseFM [10p-12a CT]. MP3 posted next day at http://bunchlox.com . 4 yrs strong! Also, as previously mentioned #SundayBrunchlox every 4 weeks on @MHYHRadio. 4 years strong as well. Apart Name one track that we can expect to hear you play this Friday at Studio 200? Karl Almaria They know how to make a proper Bloody Mary complete with Beer back (Chicago, take note). And of course, the city’s amazing people! Karl Almaria Eat lots of Salads and consume Tofu on occasion (despite my reputation for Meat/Pork products).